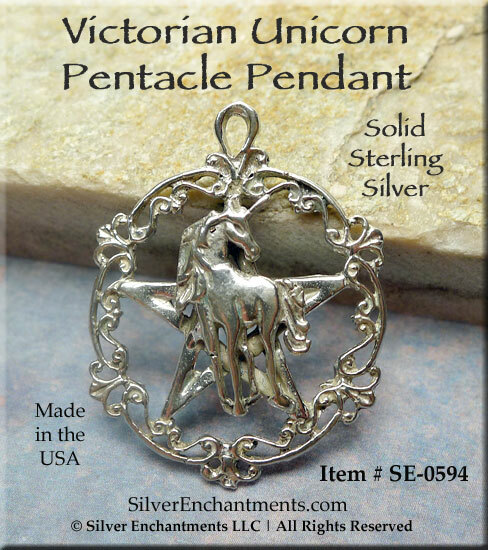 An Intricate, Mystical Unicorn adorns our Popular Victorian Pentacle Pendant. 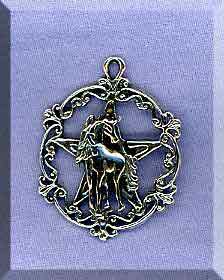 Hand-cast here in the USA, this Pentacle with Unicorn Pendant measures a generous 32mm tall x 25mm wide, and is made of Genuine, Solid .925 Sterling Silver. Overall Pendant Size, approx. 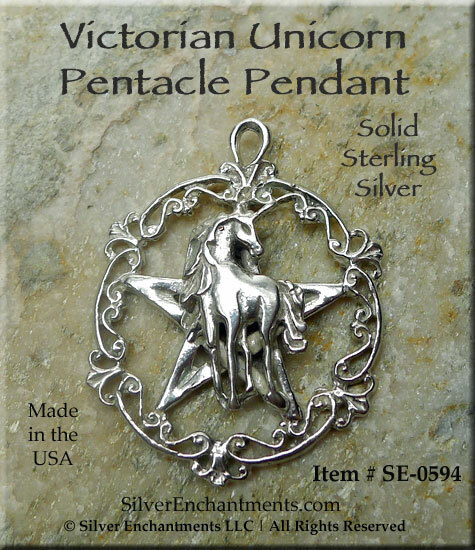 : 32mm x 25mm = ~1-1/4" x 1+"
> You can Customize your Unicorn Pentacle Necklace -- Choose from a 16" or 18" Sterling Silver Necklace Chain (see last picture for current chain style). 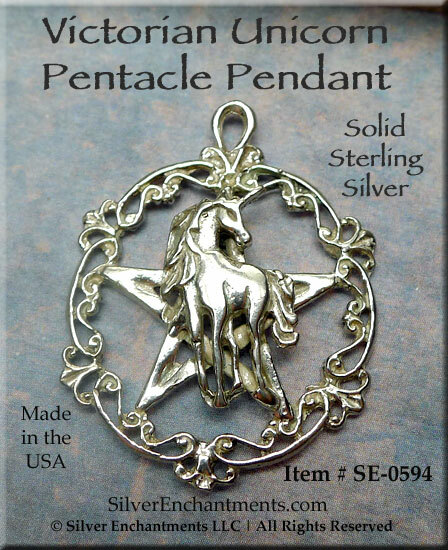 Your Solid Sterling Silver Unicorn Pentagram Necklace will come Boxed. The unicorn is one of only a very few mythological creatures that are considered to be beneficial in almost all traditions. The Unicorn is often used as a Symbol of magic, miracles, purity, innocence and enchantment. Once thought to be native to India, the unicorn has reportedly been seen throughout the world.